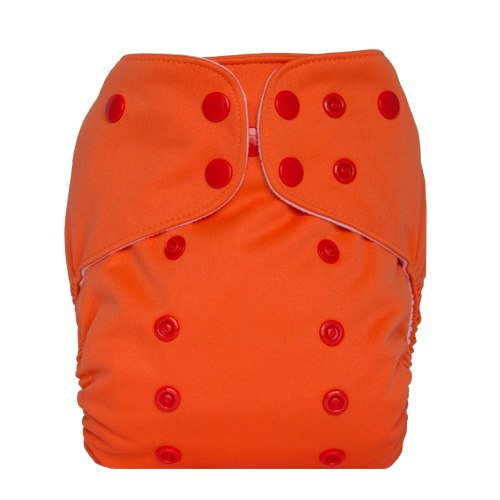 Hip snaps provide the perfect fit around the thigh to contain messes. 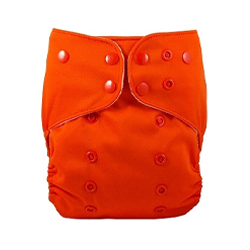 Includes a full size bamboo insert and booster to customer absorbency. 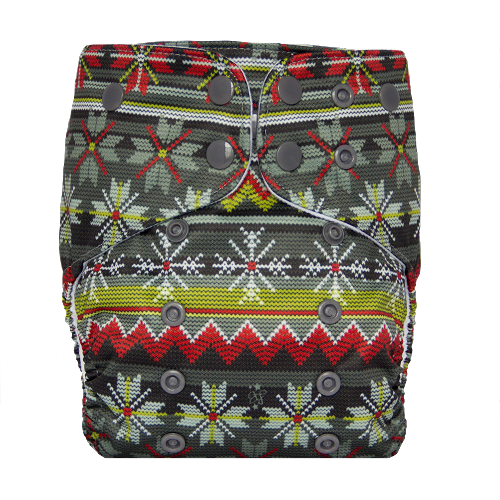 TPU flap at the front waist prevents wicking. Pocket opening and snaps allow you to secure the inserts in the method of your choosing. 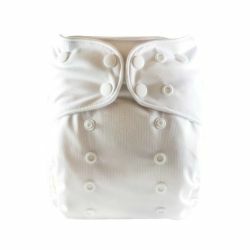 Lalabye Baby One Size Diapers - 4 Sizes in One! Fabric content: 100% polyester outer with urethane laminate. 100% polyester inner. Inserts composed of rayon from bamboo. 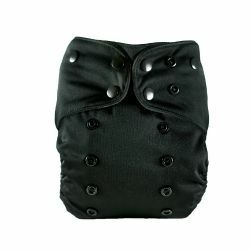 Introducing the Diaper Rite One Size All In One Diaper, adjustable for most babies 8-35 pounds. 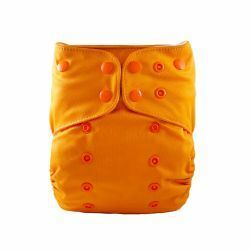 These diapers are so so cute! I love the colored snaps along with the hip snap. I like that it comes with a bamboo insert that can be used as a pocket or AIO. I will be excited when this diaper fits. It's larger than any of the AIOs that we have pirpurcha for our ten pound baby. 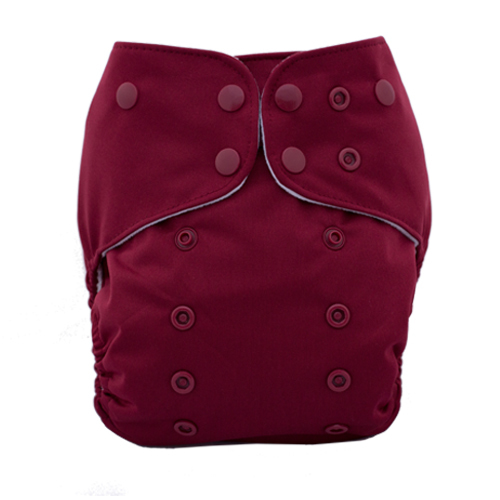 The different colored snaps will be awesome for other caregivers when she's older, but for now this is too wide in the crotch and too bulky to wear under her 0 - 3 month clothing. I love the fit of this diaper! I also love that the inserts are bamboo. 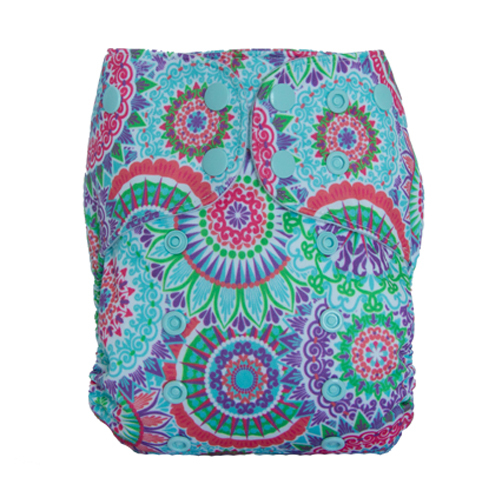 A great price and cute prints. We found lalas just over a year ago and fell in love with their fit. 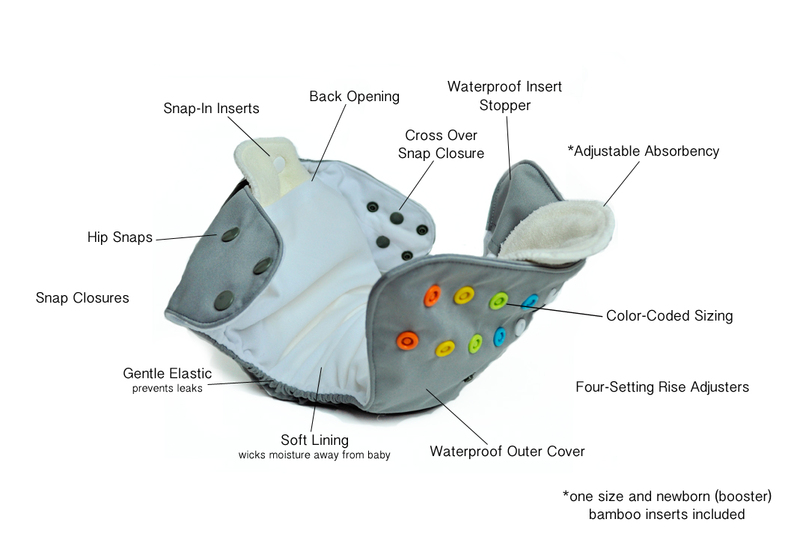 I like that the inserts snap in, I can choose to stuff for stay dry or just snap and its ready to go. 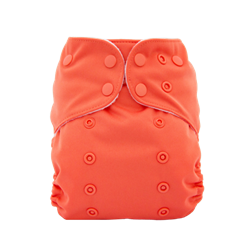 The rainbow snaps makes changing a breeze for daycare and family, I just hand a diaper and say shes on yellow and red snaps lol. We fold the small insert in half, placing up front for extra protection and most of the time shes fine but she floods way faster out of Smart Bottoms and Blueberry so its a win for us. These are my all time favorite diaper. I love the color code, the way they fit is so nice and trim plus the option of using this as a pocket or ai2 sold me from the start. Wish they had more colors!